The Woodlands Centre was packed for last week’s production of Arsenic & Old Lace by the Rustington Players. A glowing report was given by Jose Harrison, from the National Operatic & Dramatic Association (NODA). She said: “This difficult and challenging play requires a very strong cast to be successful. This company had such a cast and were able to present a superb production that displays the best attributes of a dramatic society being dedication and team work from both on and off stage. “The lynch pins of this delightful production are two elderly ladies who advertise for lodgers in their home, with the sole purpose of helping elderly and lonely gentlemen to a “happy ending” with a dash of arsenic in their glass of wine! Vinny Shepherd (Abby Brewster) and Maureen Ayres (Martha Brewster) were brilliant in their roles -very different but delightful. They somehow captured the characters to perfection. Living with them is their nephew Teddy played by Colin Bolton. Another outstanding performance, he was a joy to watch. Chris Harris as another nephew had the unenviable task, when visiting his aunts, of sorting out the ‘bodies in the cellar’ problem. A difficult role in more ways than one which he performed with polish and conviction. Into this impossible situation arrives nephew number three Jonathan (JodyBull) and his doctor accomplice (Zahir White) with yet another dead body. Jody was malevolence personified and Zahir nasty and pathetic. I wouldn’t want to meet either of them on a dark night!! The rest of this excellent cast all filled their important roles with total conviction providing excellent support for the main principals. 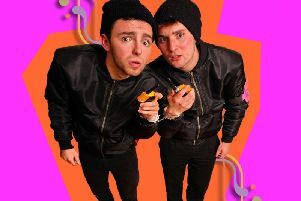 "This entertaining production, with all its twists, turns and amusing moments went down really well with the audience. My congratulations to the directors, Sara Spencer and Rita Matthews for an excellent job, well done." Rustington Players would be delighted to hear from anyone willing to join them, either acting or helping behind the scenes. For more details contact rustingtonplayers@gmail.com. or call Membership Secretary, Jill Onslow on 07747 846 768. The next production (13th-16th March 2019) is “The Play of The Silver Sword” from the novel by Ian Serrallier - the epic tale of four children who trek across Europe from Poland to Switzerland in search of their parents after the Second World War. Tickets for this effective and moving drama, which combines Rustington Youth Theatre with the Players are on sale now. https://www.ticketsource.co.uk/rustingtonplayers or phone Rustington Players Box Office number: 0754 630 6438.